The Fellowship was fortunate enough to obtain a copy of NORMAN: BOOK 1 from Titan Comics. Stan Silas writes and draws. 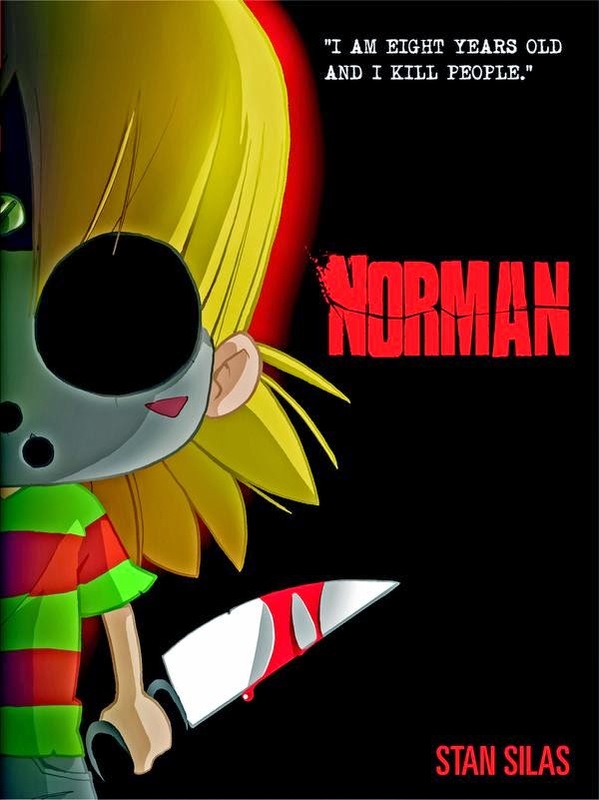 Norman is a normal eight-year old kid living in a normal town. Well, mostly normal, anyway. See, he’s got this little voice that talks to him. And it tells him to kill his classmates. Some of the kids start to investigate the disappearances, as does Miss Jameson, the teacher. They come at it from different places, but the mystery they unravel is one you’ll never see coming. This is the kind of book that almost makes you feel bad for laughing at it, but it’s really hysterical. The level of wrongness in these characters is both terrible and hilarious. And Silas’ art is reminiscent of a really good anime, which really helps to carry off the horror/comedy style in this. Perhaps that’s what makes it okay to laugh somehow. This is a great example of a book about kids that is definitely not a kids’ book. That said, it is really funny and disturbingly fun. If that sounds good to you, pick it up. NORMAN:BOOK 1 is available now at your FLCS or at titan-comics.com.